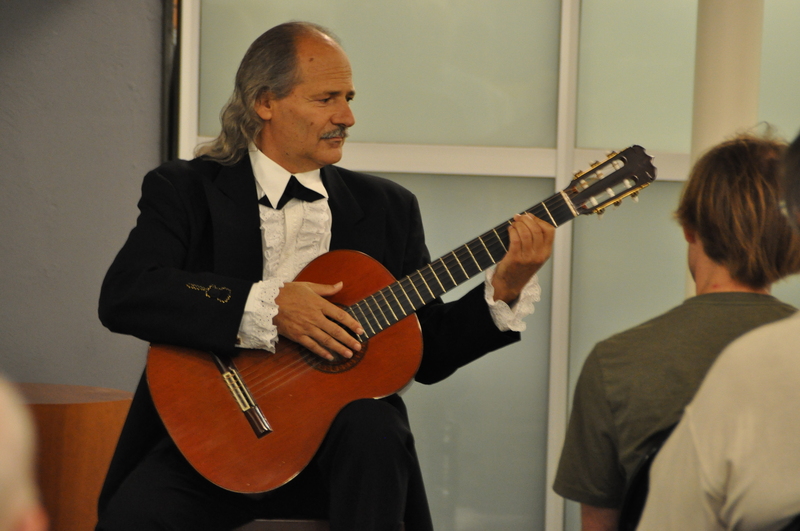 Classical guitarist Anton Del Forno performed a concert Tuesday to about 70 people who gathered in the atrium at the Toms River branch. 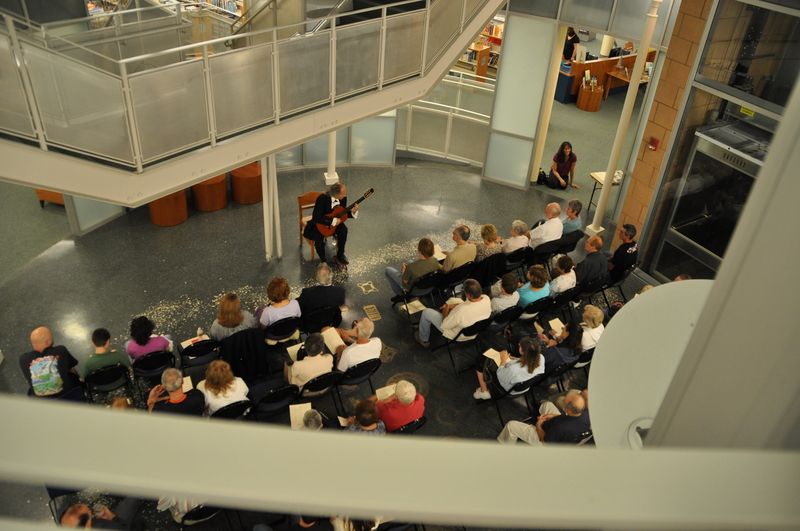 Listeners sat rapt in the music and the ambience he created with his performance. Anton Del Forno will present an evening of classical guitar music in concert at the Toms River branch of the Ocean County Library(101 Washington St.) Monday Sept. 26 at 7 p.m.
Del Forno, born in New Jersey, initially launched his music career as rock guitarist, playing the electric guitar. He switched to classical guitar when he was 17 when he realized the richness of classical guitar music. For more information or to reserve a seat contact the library operator (7323) 349-6200 or (609) 971-0514, or the library’s website www.theoceancountylibrary.org .